Cottage in Holymoorside, Nr. Chesterfield, Derbyshire, England - Sleeps 2. 1 Bedroom Cottage. 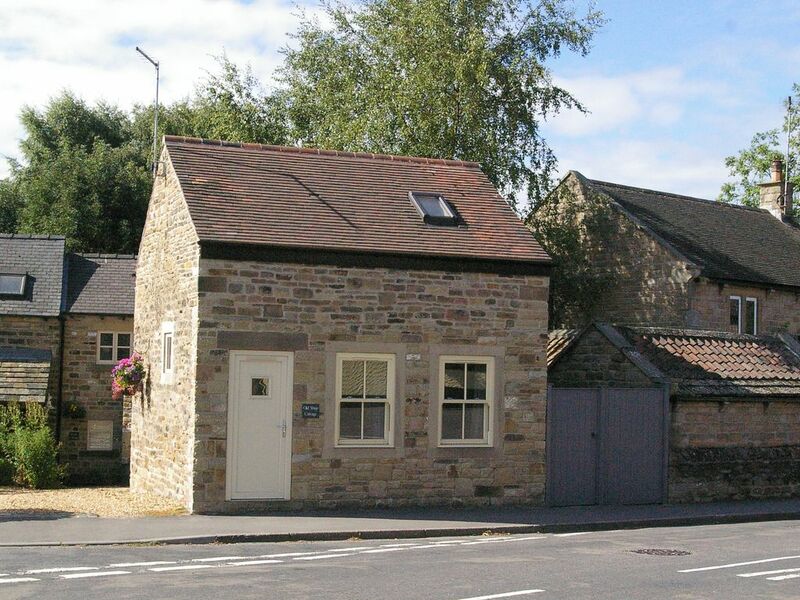 The Old Shop is situated in the picturesque village of Holymoorside, on the edge of the Peak District and Chatsworth Estate and only a short drive to the historic market town of Chesterfield. Holymoorside sits in a valley surrounded by open field and woodland ideal for walkers or cyclists. There are two pubs, The Lamb for the real ale enthusiast,and The Bulls Head for lunchtime and evening meal. There is also a village shop for local produce and newspapers. Super clean and comfortable little cottage. Beautiful cottage equipped with everything we needed and lovely personal touches. Would definitely stay again!! We were visiting friends and family and rented the cottage or a few days. It is very well decorated and equipped, and spotlessly clean. Trudie has obviously taken care to make it attractive and cosy and used high quality furnishings and linens. The location is excellent, in a quiet village but within easy reach of local towns and the Peak District - and being able to walk to a local pub was a treat! The owner was very welcoming and made a special effort to ensure we had everything we needed. Beautiful cottage. In fact one of the best properties we've stayed in. The cottage is perfect for a couple wanting to get away to relax. Nicely decorated throughout with lots of attention to detail. The pub across the road was very welcoming and also have to say was spotless. Trudie the owner was lovely in every way. Very accommodating. The cottage is lovely. Had a great stay.